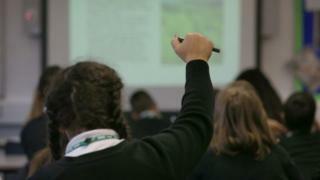 An autistic teenager missed school for five months after a transfer blunder by Suffolk County Council, a report found. The child – who cannot be named – was moved from a specialist school to local mainstream classes in the middle of her GCSE studies in July 2016. An investigation by the Social Care Ombudsman found “poor planning” by the council, which failed to consider the girl’s “significant needs”. The council has apologised to the child and her mother for the failings. The report – published on Thursday – said the teenager had been attending an out-of-county independent school for five years when the council decided to move her to a local school in July 2016. There was no evidence her needs had changed, and it had taken 14 months to issue an Education, Health and Care Plan for the girl, the report said. The Year 11 pupil was left without full-time education for a whole school term as a result until a place at another independent school was found for her. There were “significant faults with the council’s handling of the situation”, the investigation concluded. Michael King, the Local Government and Social Care Ombudsman, said: “It had taken a long time for this girl – who has significant needs – to settle at her school, and yet Suffolk County Council moved this girl despite the evidence supplied by the school and her educational psychologist. “A lack of resources should never be the primary factor in deciding the best provision for a child with educational needs. The council has been ordered to pay the teenager £1,200 for the loss of one term of education – and £1,000 for the “uncertainty and distress” she faced. Her mother will also receive compensation. The authority has also agreed to review its procedures around special needs placements, the report said.